A directive was recently issued that allows federal contractors to raise religious freedom as a defense when they are charged with job discrimination. A directive was recently issued by the Department of Labor’s Office of Federal Contract Compliance Programs that allows federal contractors to raise religious freedom as a defense when they are charged with job discrimination. The Federal Contract Compliance Program, which is the government agency tasked with making sure that businesses that contract with the federal government comply with laws and regulations, has already passed prohibitions against discrimination based on sexual orientation and gender identity. This new directive from President Trump represents just one of several changes to federal regulations that are intended to increase the religious freedoms of workers and business owners by exempting them from compliance with federal non-discrimination laws. A previous rule from 2014, during the Obama Administration, protected LGBT government workers from discrimination. This new directive, however, intends to protect faith-based and community organizations to the greatest degree available by the law. In accordance with the new regulations, federal workers must respect the rights of both religious individuals and institutions to practice faith without fear of being discriminated or retaliated against by the federal government. The directive acknowledged the recent case of Masterpiece Cakeshop Ltd. v. Colorado Civil Rights Commission, which found that government violates the Free Exercise clause when its decisions are based in opposition to a religious viewpoint. Federal contractors are required to respect the rights of religious institutions and people to practice faith without discrimination or retaliation. Passed in 1993, the Religious Freedom Restoration Act prevents federal laws from burdening a person’s practice of religion, even in situations in which discrimination results from a law that is generally applied. In situations in which the government is furthering a compelling interest, the government is still able to restrict the rights of some LGBTQ individuals. While the law was initially intended to apply to both federal and state governments, the Supreme Court of the United States ruled in 1997 that extending the Religious Freedom Restoration Act to the states surpassed the scope of federal powers. Currently, 21 states have passed their own versions of the Religious Freedom Act. This recent directive, however, recognizes the rights of federal contractors despite the Religious Freedom Restoration Act. Despite advancements in LGBTQ rights in the last decade, there are still many laws limiting the rights of individuals in these groups. This decision is one of several recent rulings by the United States Supreme Court as well as White House executive orders that acknowledge the religious freedom of individuals. 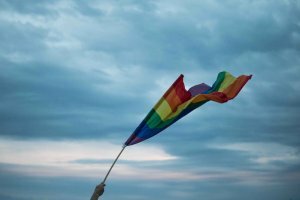 The Universal Life Church’s blog aims to document the various developments in LGBTQ rights to keep you informed.